In the last two centuries several ancient Christian texts have been discovered and brought into the public eye having been hidden for around fifteen hundred years. The most famous of these are contained in the Nag Hammadi Library, the Berlin Codex where we find The Gospel of Mary (Magdalene), and the Pistis Sophia which was kept in various locations unheralded throughout the centuries. These are texts of the Gnostics – a part of early Christianity which was persecuted into effective oblivion by the organized orthodox Christians. Important though these texts are, they were largely brushed aside at the time of their re-discovery by conventional Christianity. However, in the 1970’s the Gospel of Judas was found. It could not be ignored and would fundamentally challenge the way the world thinks about Christianity. For many it calls into question the straightforward literal interpretation of the life of Jesus. The Gospel is an account of conversations between Jesus and his disciples. Judas is chosen by Jesus as the one who would sell him to those who would ultimately crucify him. In the Gospel of Judas the betrayal leading to Jesus’ death was not only known in advance as we see in the orthodox Gospels, but it was also planned in advance. This illustrates the split at the time between conventional or pistic Christianity and Gnostic Christianity; one public, the other esoteric, both with different interpretations of the role of Judas. Eventually conventional Christianity was organised into a branch of the Roman state and with that power (sometimes through murder) it eventually obliterated Gnostic Christianity. The discovery of this Gospel causes many to question the authority of those that excluded it and to question why certain beliefs are held. When looking for answers to many of the key questions that the Gospel of Judas provokes it is tempting to look for advice and guidance from modern scholars in the subject, however there is only so much that can be given. Theories can be drawn up from the available historical evidence, but given what has been found there is a limit as to how much they can answer. However much academics and historians today debate the meaning in this Gospel and attempt to question why it is that Judas is shown in it being chosen by Jesus to carry out a mission for him. It’s clear that a conclusive answer will never be found in this way. Nor will religious belief in itself provide the answer, or even the beliefs or opinions of those who are not allied to a particular religion but would choose to believe something one way or another, explain the meaning of this Gospel. Belief in itself indicates a lack of specific knowledge and if someone wants to know about the role of Judas, they need something more. 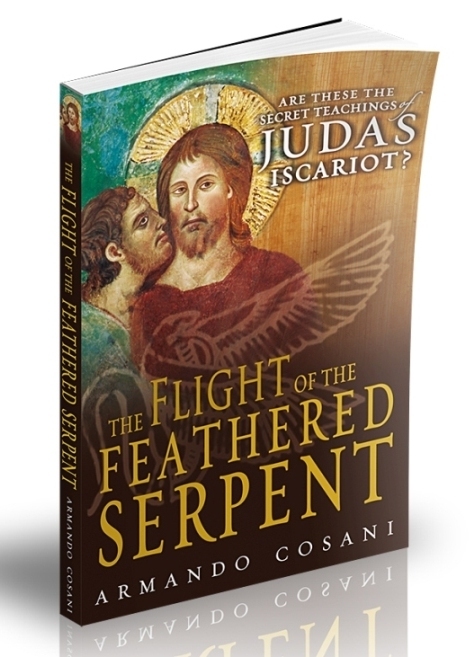 In The Flight of the Feathered Serpent by A. Cosani, published years before the Gospel of Judas was made public, Judas was not a traitor; this viewpoint has been historically confirmed as being one shared by early Christian Gnostics from what is written in this Gospel. In it the account of Judas shows that he was carrying out a role. The question is how would anyone today know what is true? The answer is that to understand the Gnostics you have to be a practical student of esoteric knowledge. This is someone who of searches for and finds a knowledge that is acquired by spiritual experience. Authentic spiritual experience can be as objective as material experience. The early Christian Gnostics used out-of-body experiences as a means to achieve this experience. This is why there are so many accounts in early Christianity of teachings and meetings taking place in visions, or when the narrator was “in the spirit”. Modern practitioners of esoteric knowledge use the same techniques today to get similar experiences. Out-of-body experiences in themselves however, are not enough to get this kind of experience. For that a person needs to do the same kind of spiritual work, to reach the same kind of spiritual qualification that the disciples of Jesus reached. To reach this requires as a starting point the information as to how to get there and do that spiritual work. 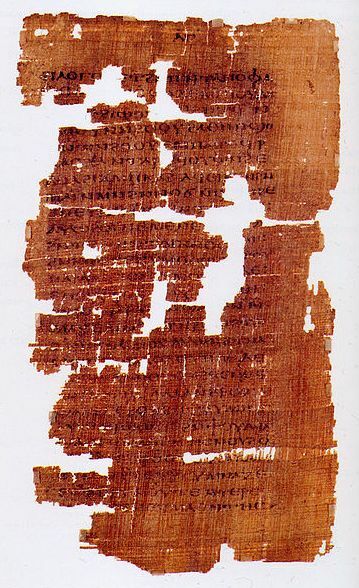 While this information is contained within the teachings in the four Gospels and in the Gnostic texts, it requires clarification to be usable today. Unfortunately, the teaching contained in the early texts is too symbolic and too far removed from ordinary present day experience to supply clear and sufficient information as to what to practically do to reach to the heart of esoteric wisdom. This is why people today who wish to become like the early Gnostics and who study just the old texts inevitably become believers, and are therefore not substantially different from conventional Christians. The object of belief in this case being ‘Gnostic’ instead of ’Christian’, sometimes with differences such as a few rituals or basic exercises of what they call meditation added. This is why the information contained in this modern universal esoteric spirituality is so essential. The study of esoteric knowledge has not become fixed in time 2,000 years ago; it is living and is part of the present day. Events, even in the heavens have changed and continue to change. Having clear information and techniques available in the present day allows for present day experience and therefore up-to-date knowledge. 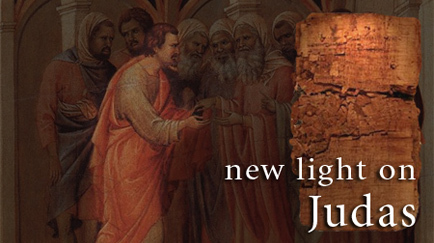 Going back to why Judas played that role – what is there in the life of Jesus that requires pre-planning? Looking from an esoteric viewpoint, which uses the symbolic code common to dreams and out-of-body experiences, the answer is found in the events of Jesus’ life that are contained in the four Gospels. They (the events of Jesus’ life) are readable as symbols that give disciples and potential disciples the information about how to acquire the spiritual level that the disciples reached and to go further to find salvation. That the four Gospels could be read as a symbolic description of the path to salvation was and is something that only a few who verify it when going through the path when out-of-the body understand. Being understandable by a few, they would never have spread throughout the world as they did if they were not also accessible on another level to the masses. Substantial numbers of believers spread the message throughout the world, which was then picked up from time to time by those who had the ability to use it extensively – such people appear in history in various times. These show different levels in the teaching, one a public teaching, the other a more advanced, secret, esoteric teaching. The life of Jesus also worked on different levels and so we need to look deeper taking into account the symbolic value if we want to understand the role of Judas. In reality there was no true betrayal of trust as both knew what was going to happen in advance. However, looking at the symbolism of what Judas represented in his role by selling Jesus for 30 pieces of silver, he represents something within each individual (which is called an ego), that something is desire – producing a betrayal that can sell the Christ (incarnated within a person on the path, which Jesus represents and also has within himself), for material things of the world, possessions, pleasures etc. To understand this further it is necessary to go further than an academic scholar can; to use the precise esoteric techniques to go into the actual experience of it. Look at this as an esoteric study rather than an academic one: some people in relatively recent years (starting from the 1950’s) have been able to contact Judas when out of the body. I have also met him while visiting hell while out of my body. Once again, things are not as they seem. Those who have met him, including myself, have stated that he is not in hell as a punishment; rather he chooses to be there as someone who has awakened and who out of love is helping people in the abyss who repent to come back out to get a human body once again with which to take up the spiritual path and to avoid returning to hell. Some may believe this to be something that’s made up, but to understand esoteric writings and spiritual teachings requires personal esoteric exploration and the right spiritual techniques. In the same way that some early Christians went out of the body to receive teachings, modern esoteric practitioners do today and the findings can potentially be as valid as they were in ancient times (potentially because similar experiences require similar spiritual development). That much written in ancient sacred teachings is not verifiable using conventional techniques and study is not surprising; they were always meant to be accessible to the few. To verify the authenticity of ancient teachings and understand them requires becoming one of the few, and that is difficult to do. Ancient spiritual teachings contain an invaluable wealth of knowledge; however, it is far more productive to read them with the intent of acquiring information that helps in the discovery of true wisdom and spiritual knowledge, than it is to use them as something to believe in or to gain academic information from.